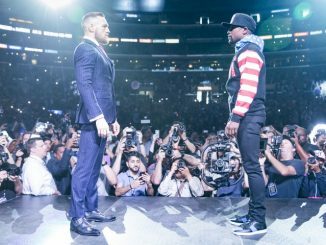 Will Conor McGregor wear boxing shorts or UFC shorts in the super fight? 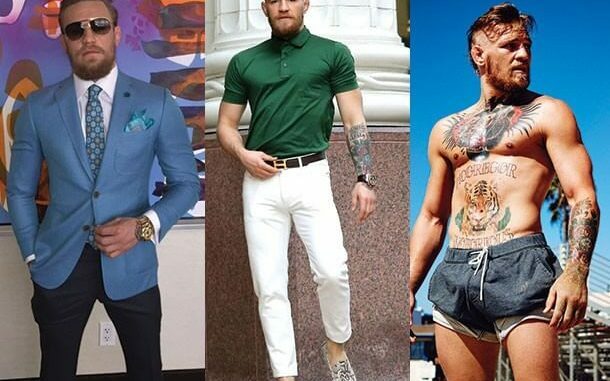 What will Conor McGregor wear in the Mayweather vs McGregor super fight? Conor gave a few hints to press during round 3 of their world tour in Brooklyn, NYC. I’ve seen you in your Instagram posts wearing Nike, you HAD a Reebok deal, where are you with that? Conor’s equipment contract is still open to new sporting brands. Previously McGregor was signed with Reebok, who is also partnered with the UFC in a controversial deal. McGregor was independently signed to Reebok and is now “exploring other options“.